Congratulations to Middle School Religion Teacher Mrs. Jennifer Sprague! 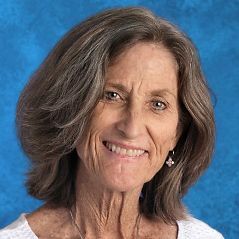 Mrs. Sprague has been selected to receive the 2018 Islamic Speakers Bureau of Arizona, Building Bridges Award for Educators. The ISBA Building Bridges Award is given to individuals or organizations in Arizona who have shown a sincere commitment to building bridges of understanding between different communities through education. All recipients either currently work with or have worked with the Islamic Speakers Bureau of Arizona towards this end. Congratulations, Mrs. Sprague! You truly embody the All Saints' mission and live the All Saints' Way. We are blessed to have you as part of our community!